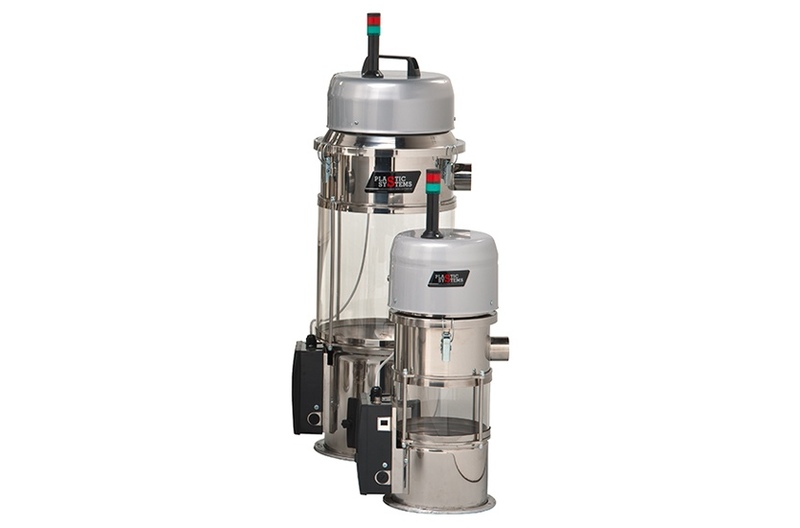 The material receivers of the TMM series are made of stainless steel and those of the TMX series with a central pyrex-grass body. 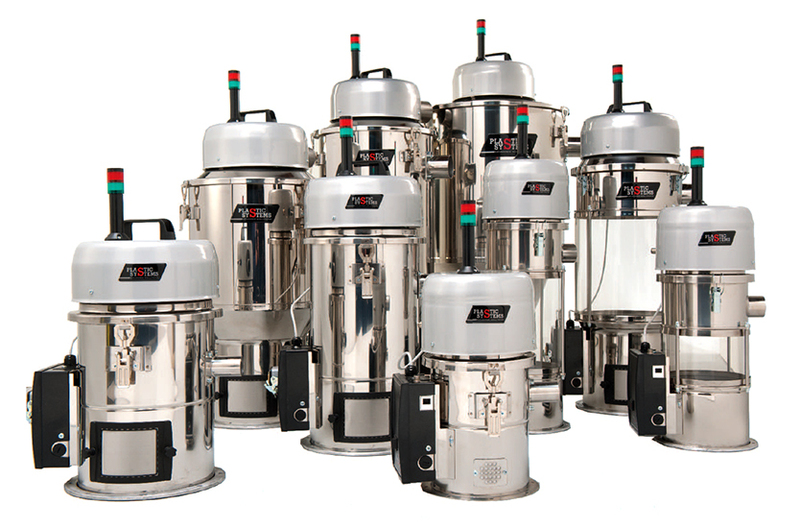 They can be used with three-phase hopper loaders of the PD series. There are 8 models from 2 dm3 a 100dm3. •Automatic cleaning of the filter. •Discharge valve and wear-resistant gasket. •Air vent with door and built-in metal filter.